These numbers reflect estimated student expenses for the 2019-2020 school year. Amounts will change slightly from year to year, but as the cost of college increases, the scholarship packages will correspondingly increase. Your official financial aid award will be included in a letter directly from Vassar. Outside funding may be used to reduce a student's work-study contribution and/or their summer work contribution. Funding in excess of $4,100 (for the first year) will reduce the Vassar Scholarship. Vassar expects that students who are eligible for GI Bill Educational Benefits to use them towards their undergraduate costs. These benefits will be used to first reduce a student’s work study contribution and their summer work contribution before the Vassar Scholarship is reduced. Vassar requires all students to have health insurance, either through their parents or another plan. If the student is not covered by a parental plan, the Vassar Scholarship will be increased to cover the $1,965 student insurance plan. The costs associated with transportation to and from college at the beginning and end of each semester are factored into the Cost of Attendance and the financial aid offered. The amount will vary depending on the distance between home and Vassar. It is expected that this expense will be paid for from the student contribution and/or work-study. In order to maintain this award, students must submit all requested materials by the financial aid deadline in subsequent years. Failure to do so may result in a student loan as part of the financial aid award. Students are expected to contribute 25% of their personal savings toward college expenses. This will be used along with work-study and summer income to cover the costs of travel, books & supplies, personal expenses, and any remaining balance on your student account bill. The cost of travel will vary depending on student location. The work-study amounts are based on working 8 hours per week during your first year, 9 hours per week your second year, and 10 hours per week during your third and fourth years. 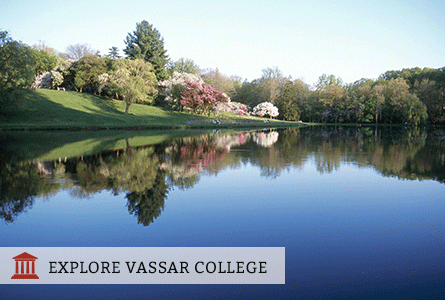 Vassar guarantees to meet 100% of demonstrated need and is need-blind in admissions. Over 65% of Vassar students receive some form of financial aid. About 63% of the Class of 2021 received need-based Vassar scholarships. Learn more. To estimate your costs, you may use Vassar's quick My inTuition Calculator or a more detailed Net Price Calculator to determine the financial aid for which you are eligible.